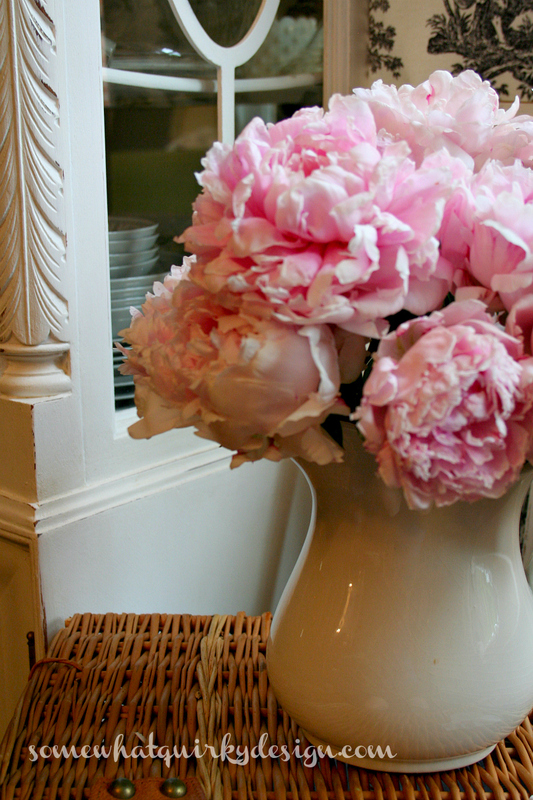 Somewhat Quirky: 28 Things - Including, My Peonies Finally Bloomed! 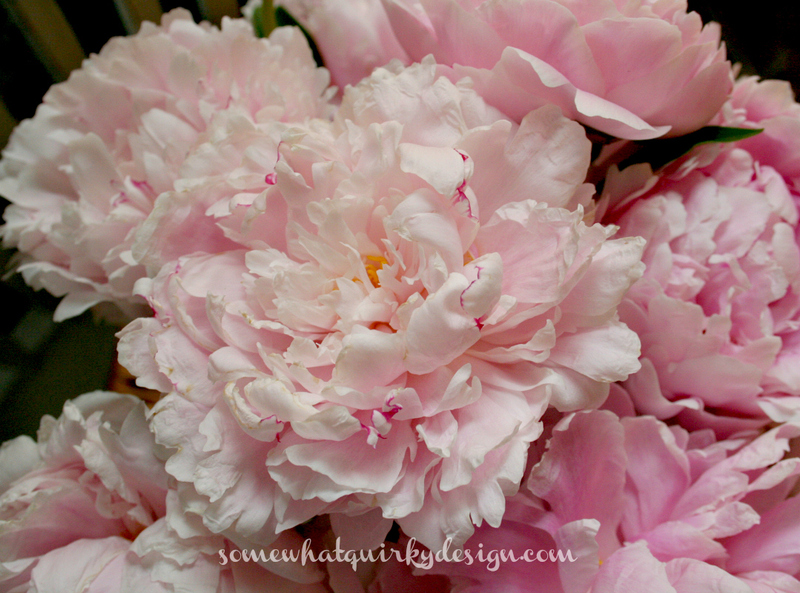 28 Things - Including, My Peonies Finally Bloomed! 1. I have a peony in my backyard garden. 2. It is the remnant of one or two peonies that a previous owner tried to remove. 3. The first spring we lived in this house, a few runty stems popped up but there were certainly no flowers. 4. It took like 5 years before it actually bloomed and the first year that it bloomed there were a couple of blooms that were white with scarlet edges and the other two bloom were pink. The rest of the buds never opened up. What a bust. I had been waiting FIVE years for these blooms. 5. Last year I got a bunch of white blooms - some with the scarlet edging. 6. This year I got . . .
7. Well how 'bout thaaaat!!!! 8. The weather here has been HEA. VEN. LY. 9. Well, until this week and it got hot. 10. Like 90. At 80% humidity. That's pretty hot. 11. We had to turn on the air conditioner. 12. I LOVE air conditioners. 16. See all those chainsaw marks? They have to disappear. 17. That means more sanding. 19. Because sanding is - well - sandy. 20. The other day looked up from picking baby elm trees out of the cracks in the driveway and saw this. 22. I am THAT person. The one with trees growing from my gutter. 23. But never fear. I saved the day. 24. I got it out the best I could with the 8 foot ladder. 26. So I reached up and blindly fished out all of the elm trees and elm seeds I could. 27. I just picked a rather large ant off of my shoulder. I think they came in with the peonies. Now it feels like there are bugs crawling all over me. 28. Only 5 more days and I'll be eating this for my birthday . . . 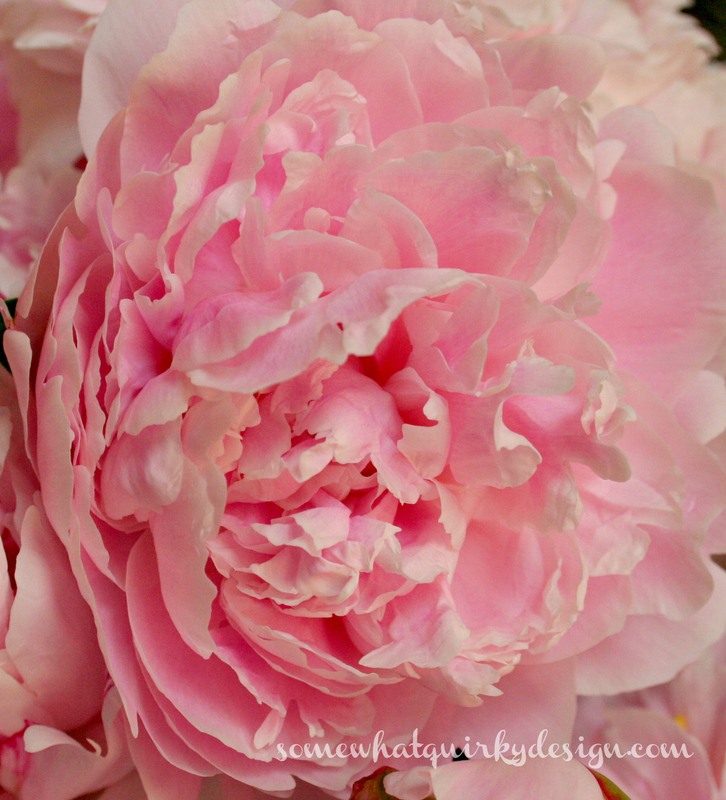 If you like Peonies you can see more here! 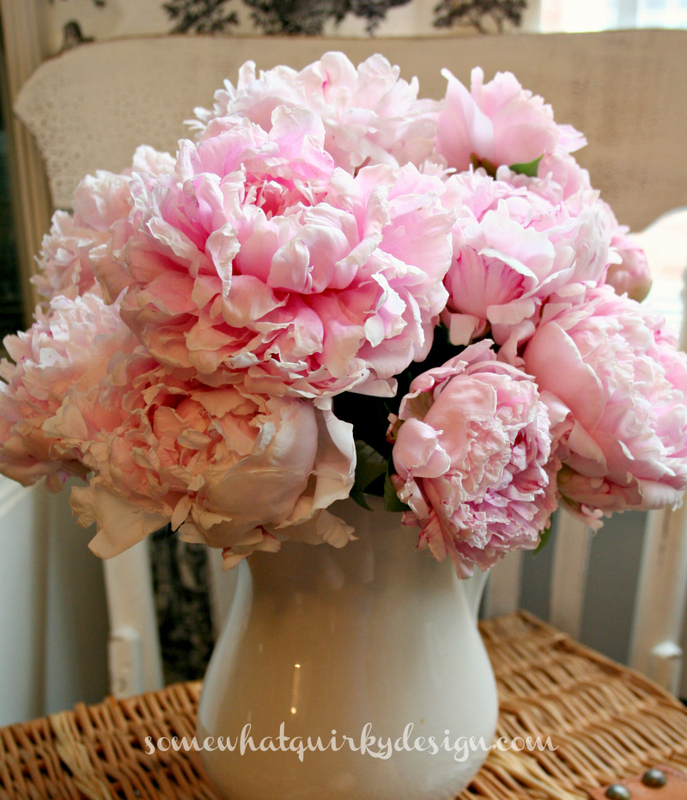 Those peonies are gorgeous! I'm always afraid of bringing bugs with flowers from my yard so I dunk them in a bucket of water before I do. You'd be amazed at what hides behind petals! Beautiful peonies come to those who wait. Gorgeous. Happy early birthday. I'd say they were worth the wait, Karen! Gorgeous peonies. Will you be sanding for 2 or three years? Oh my, they are gorgeous! I have three pink bushes. Two put on a show and one does absolutely nothing. Nada! I am going to move it this Fall. When ever I buy a new Peony I buy one with a bud. Otherwise they can take 5-7 years to bloom. Worth the wait, I'm thinkin! One day I stopped to harvest some wild Sweet Pea seeds in a field. Looked down and my legs were covered in ants. I swear I felt them for days. Boy, did I ever do a slappy dance! Thanks for sharing with SYC. Forgot to say, Happy, Happy Birthday Karen dear! Happy days to come to you all year. If I had one wish then it would be. . .A Happy, Happy Birthday to you from me! Those peonies are amazing! We too have had trees in the gutter--pines, mostly. I have to make DL get up on the ladder, as I can't carry the big (40 ft extension) ladder. WHY would anyone want to get rid of peonies??? My favorite flowers and those are just gorgeous! You HAVE to put them in a bucket of water - heads down - before bringing them in though or you'll be swarming in ants ! I would love to have peonies growing at my house . I hate air conditioning - of course that is because we never need it. 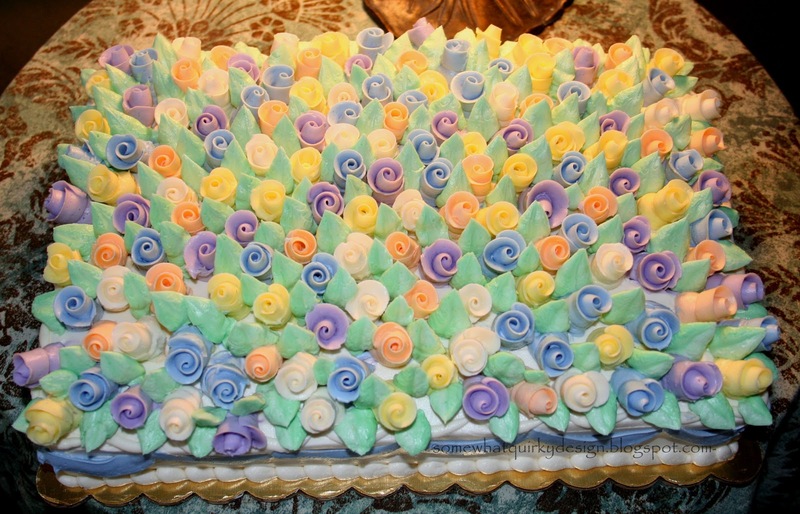 That cake is gorgeous - who is making it for you? The peonies are beautiful, but I cannot believe that you had to wait so long for them. I planted a peony last fall, and this spring it popped up but no flowers. I hope that I don't have to wait as long as you did! The peonies are beautiful! Now I want some, I don't even know if they will grow here in East San Diego County - it gets pretty hot. 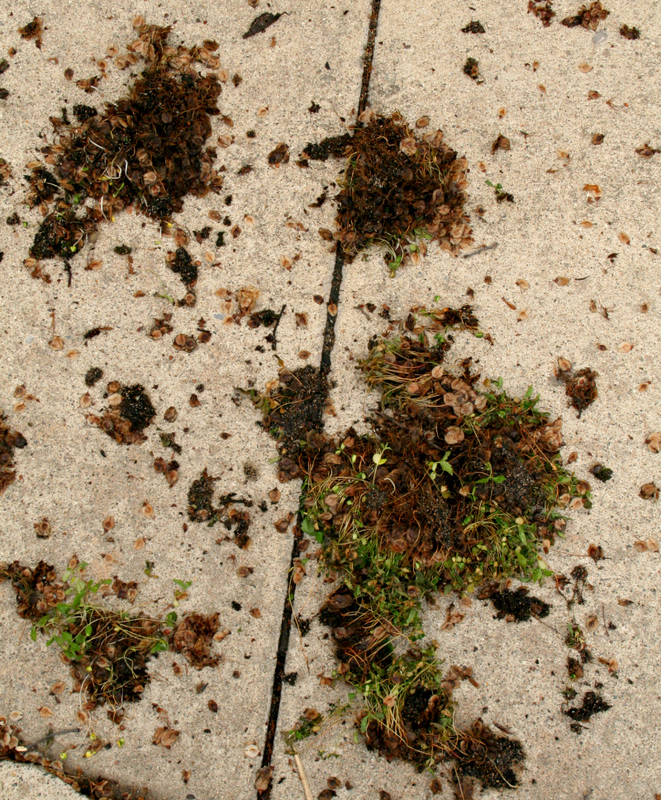 I couldn't grow an elm tree if I tried - and you have them growing in your rain gutter! Wow! 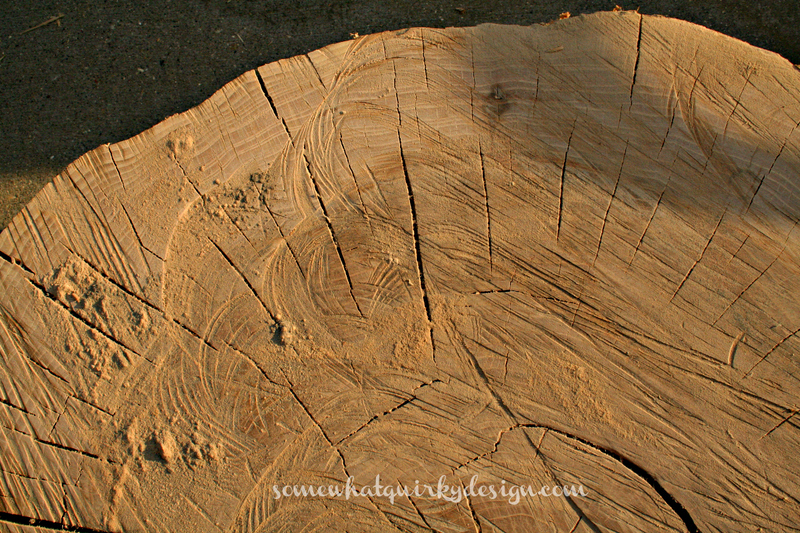 I love your blog, it is like sitting having a conversation with an old friend. Thank you for brightening my day! Gosh those are beautiful! Too bad it took so long for the peony to recover but it looks like it was worth the wait. 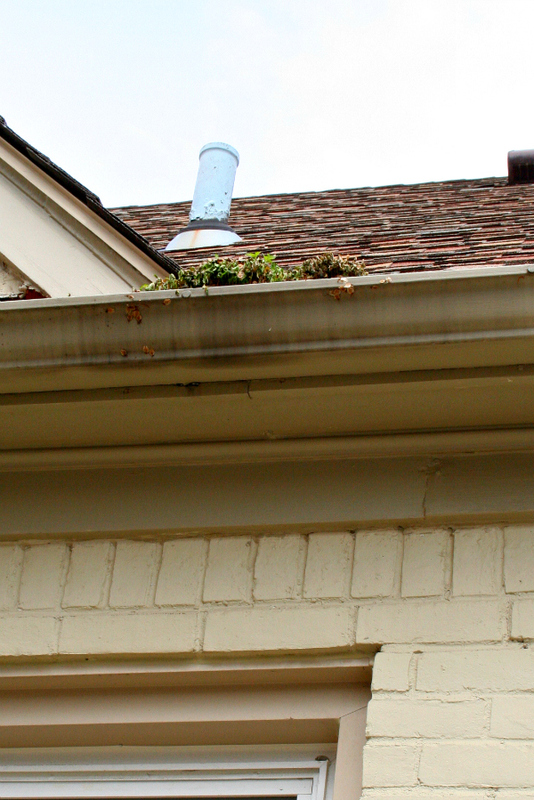 Gutter cleaning is no fun. Happy (almost) Birthday!